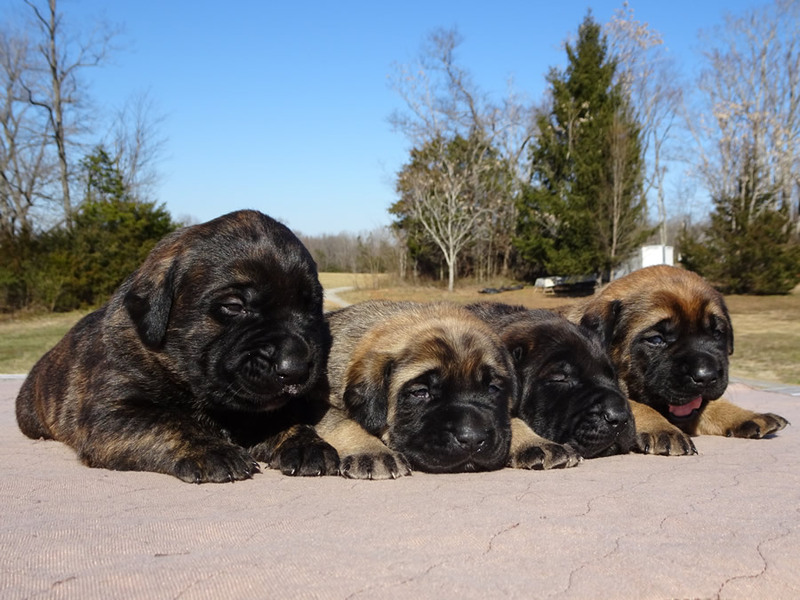 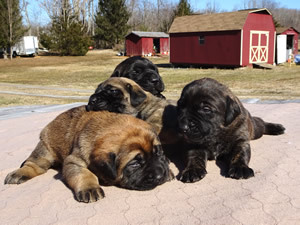 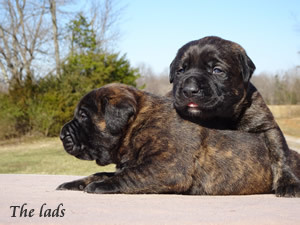 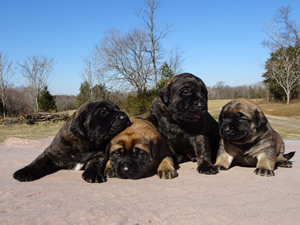 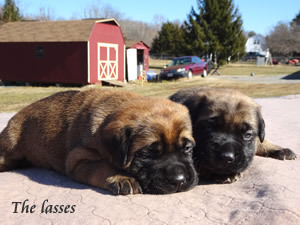 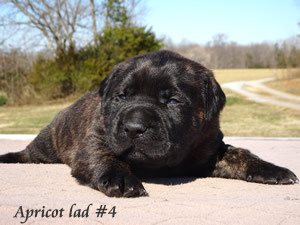 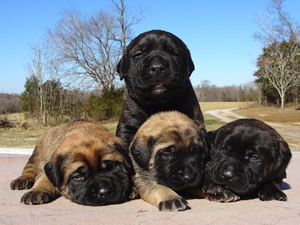 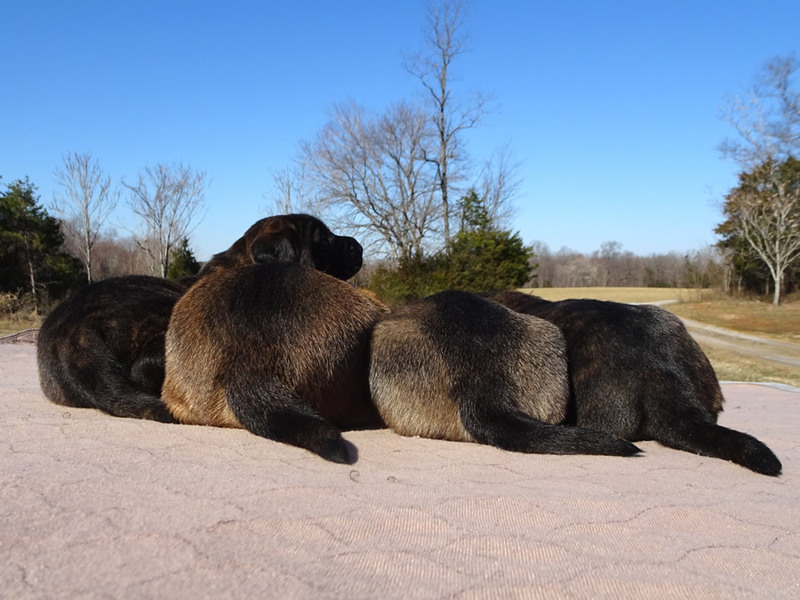 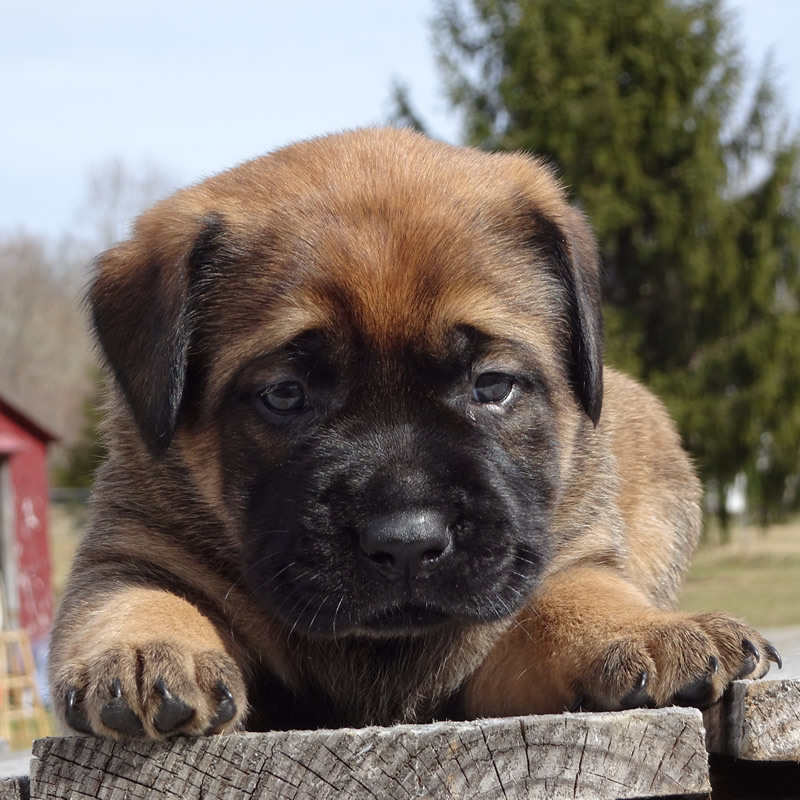 Mastador Puppies at Covenant Farm!! These beautiful puppies are the pairing of Margaret, the Pearl of Scotland ("Maggie") and Charlemagne ("Charlie"). Both of these parents have excellent temperaments and intelligence with fairly low drive. 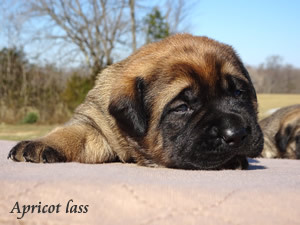 Maggie has a soft coat. 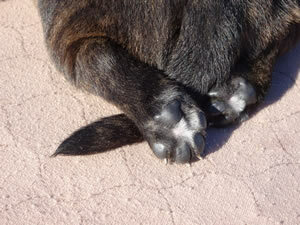 Charlie has a coarse top coat and soft undercoat. 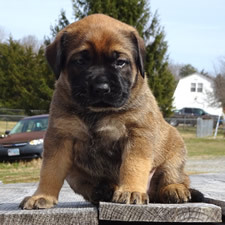 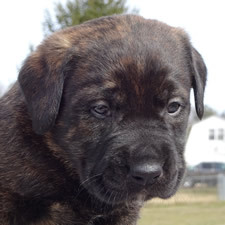 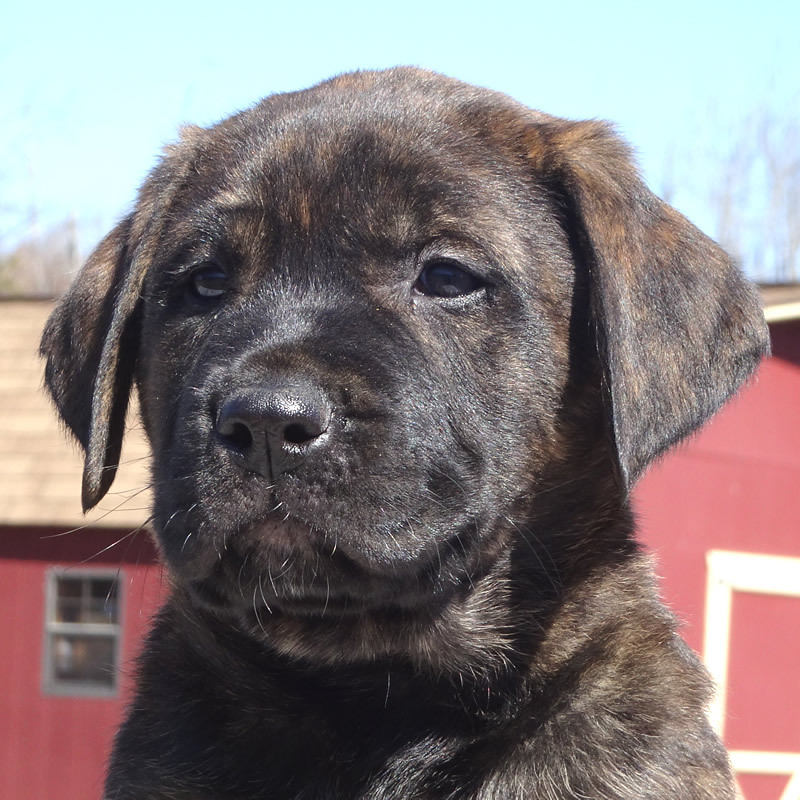 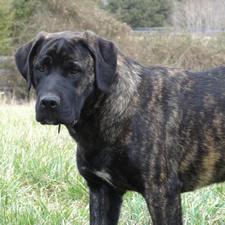 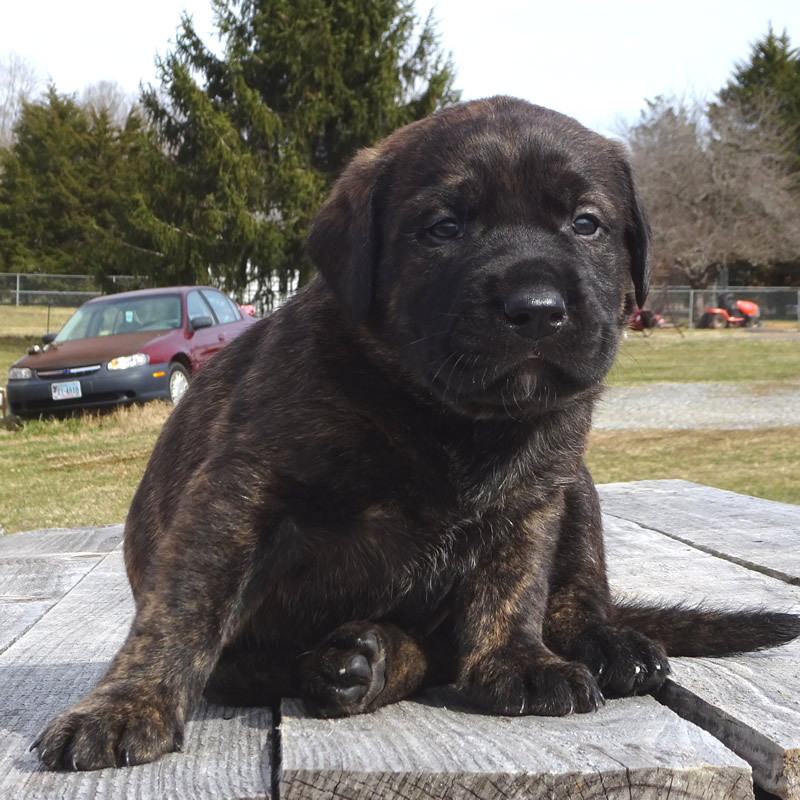 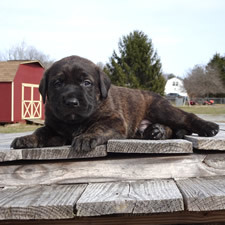 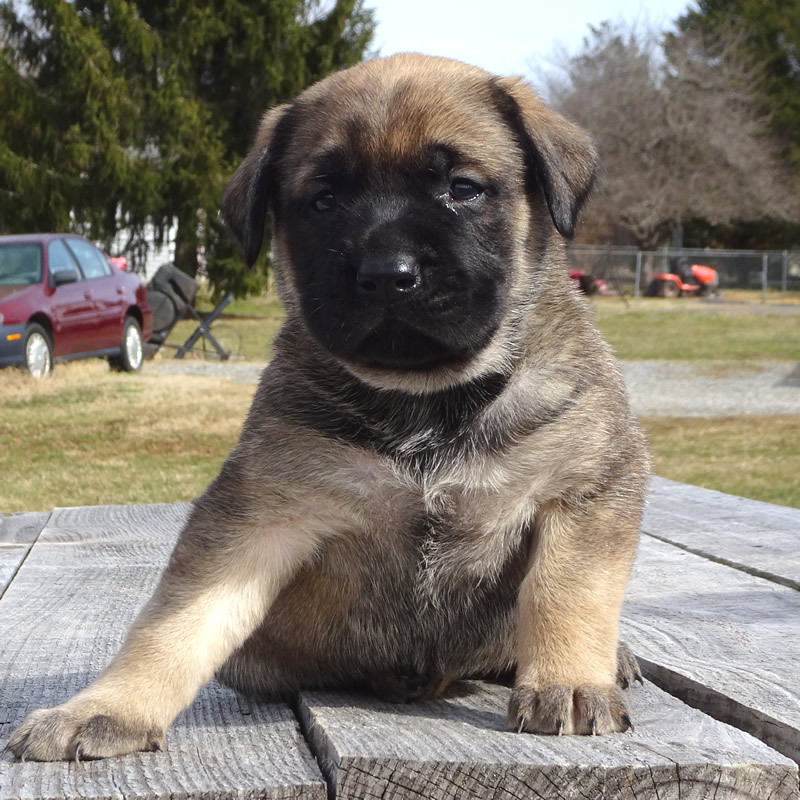 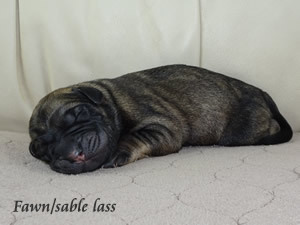 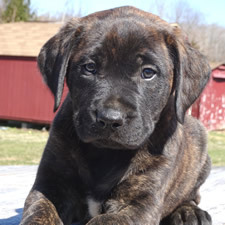 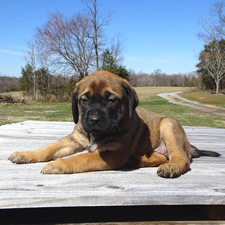 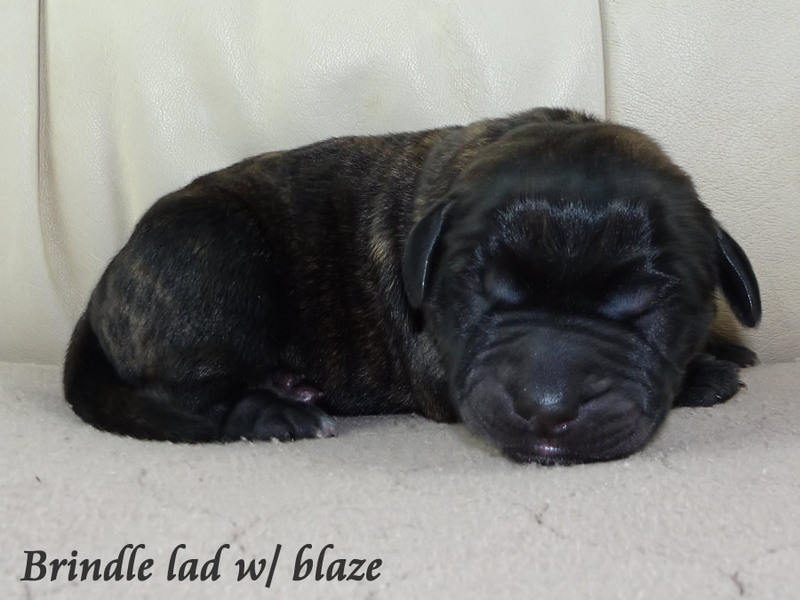 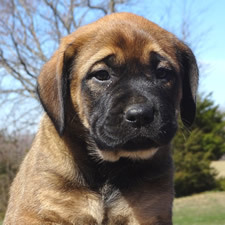 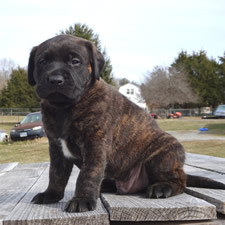 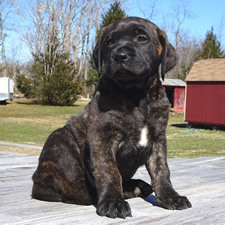 Maggie is the daughter of an F1 Mastador mother and an F1B Mastador father (She is 60% Mastiff, 40% Lab). 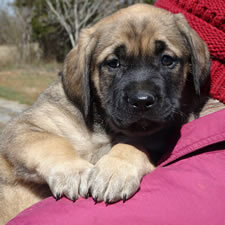 Charlie is the son of an English Mastiff father and an English Lab mother (he is 50% Mastiff, 50% Lab). 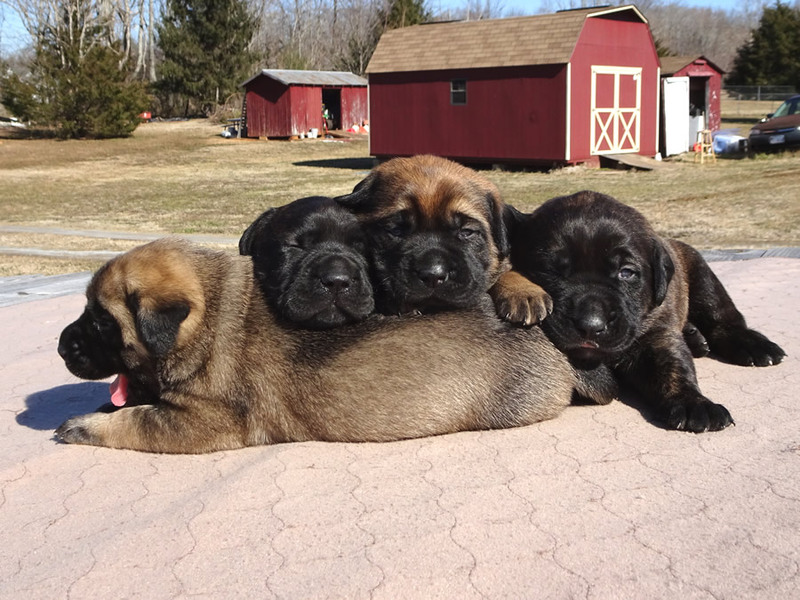 These pups are 55% Mastiff, 45% Lab. 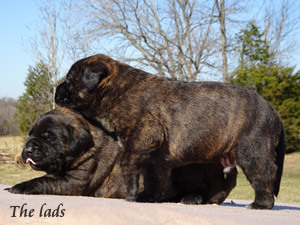 Expect these pups to mature in the 100+ lb. 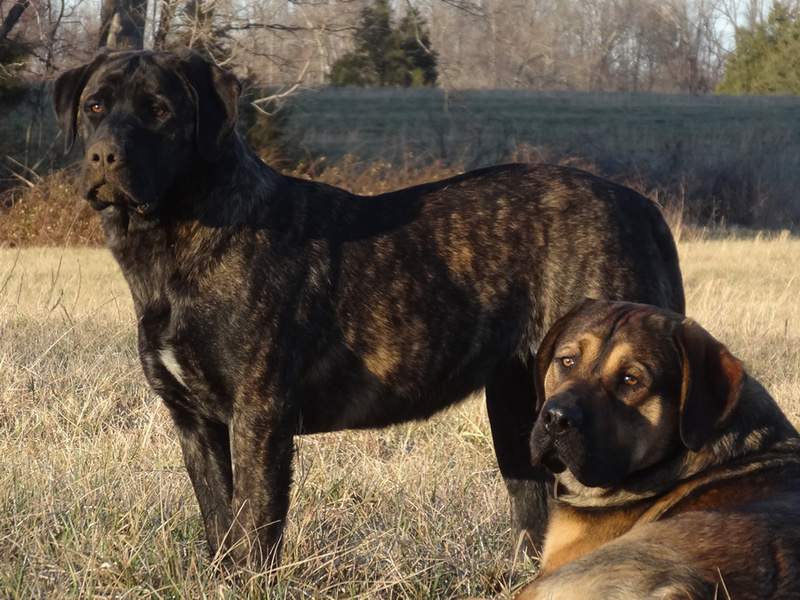 range as adults.. See below for more information on Maggie & Charlemagne. 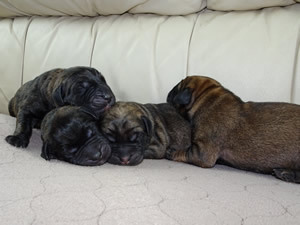 To place a deposit on one of these puppies, click the secure PayPal link below (but please contact us before doing so). All of these puppies come with a 3-year guarantee on hips and elbows, are vet-checked, have their vaccinations, and come with proof of parentage. 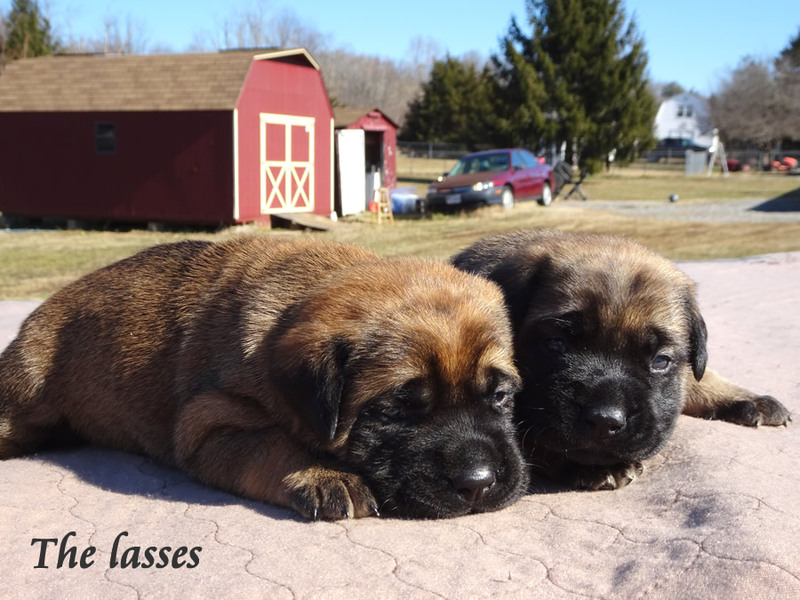 READY FOR NEW HOMES MARCH 14th! F1: First Generation. 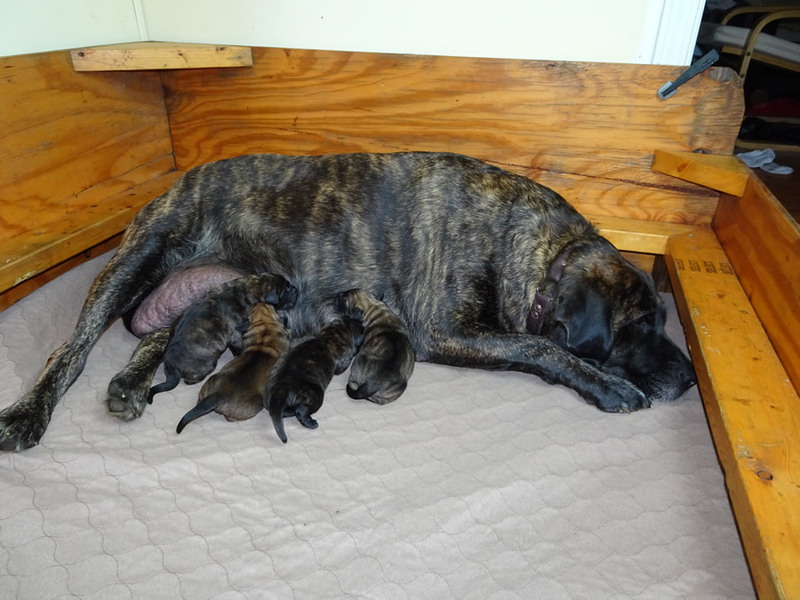 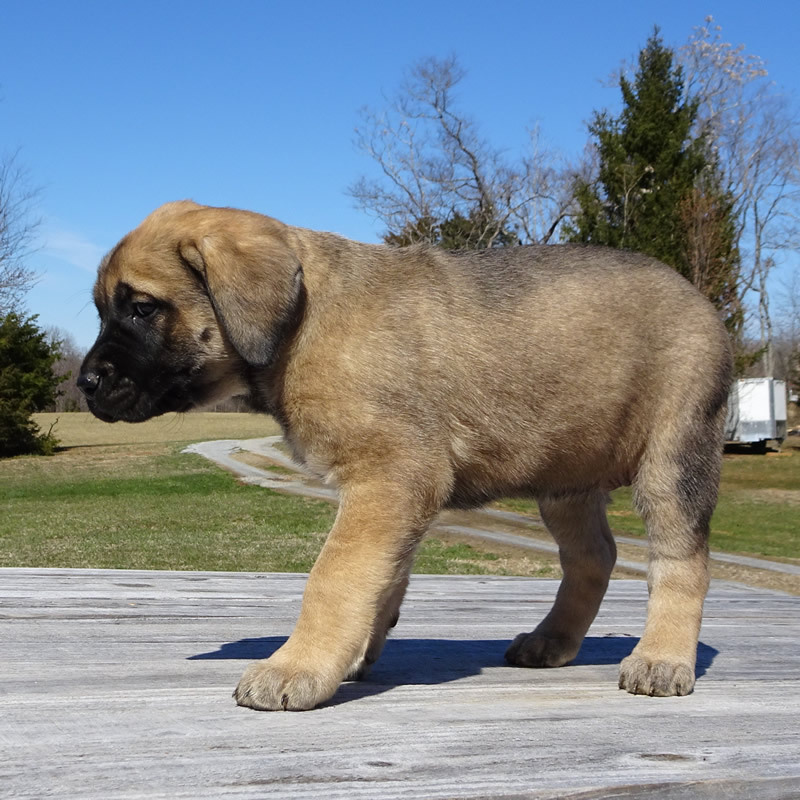 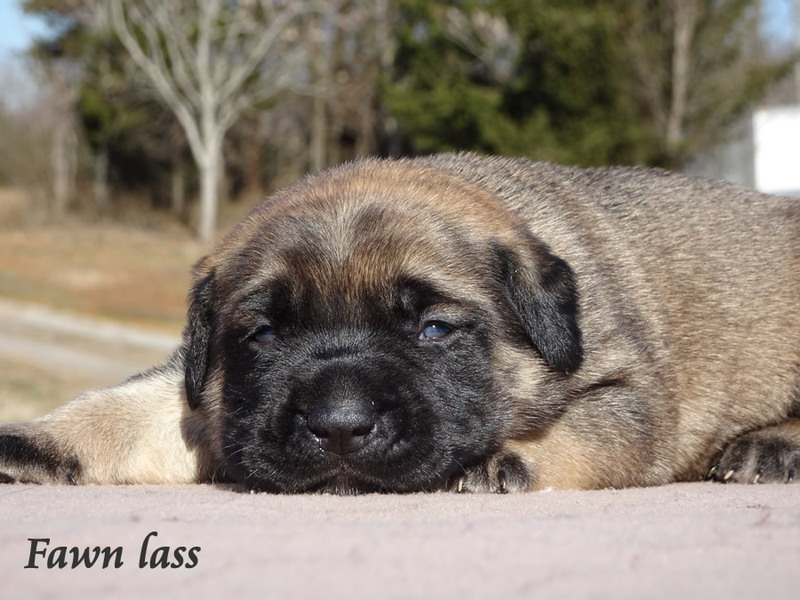 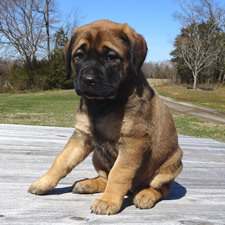 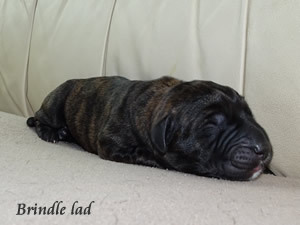 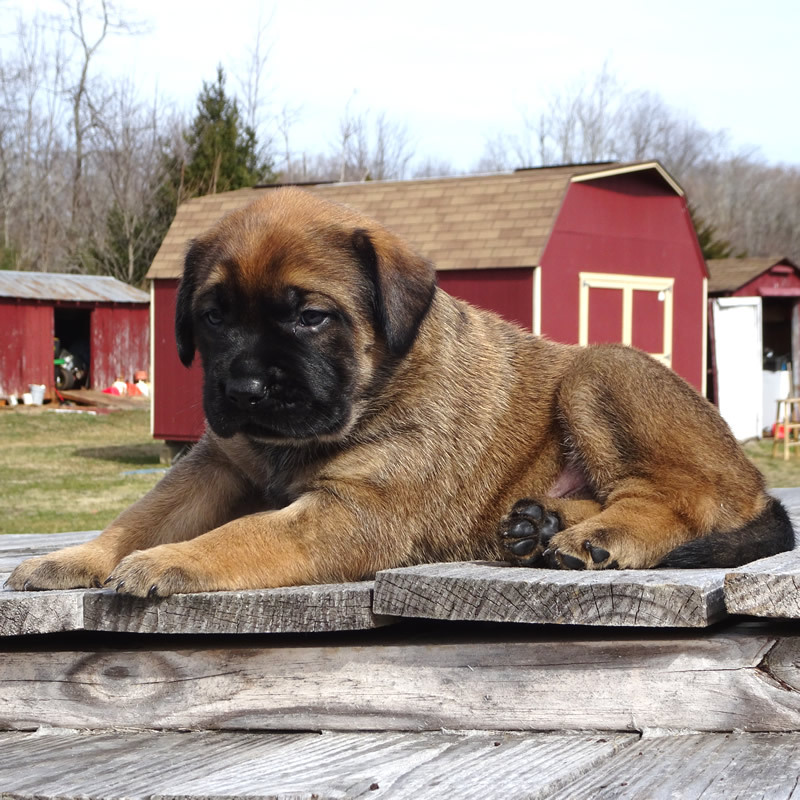 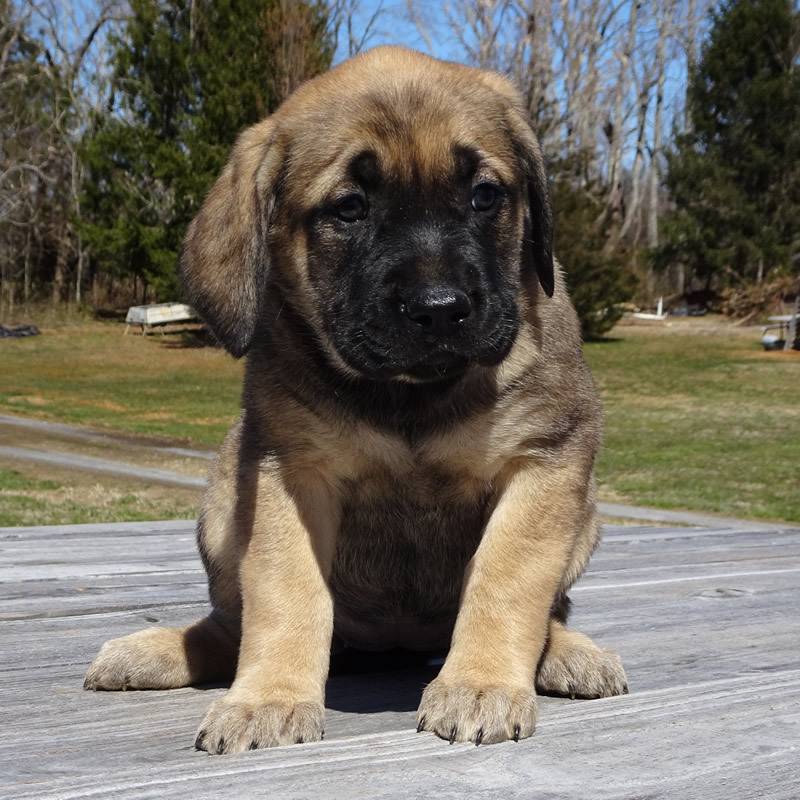 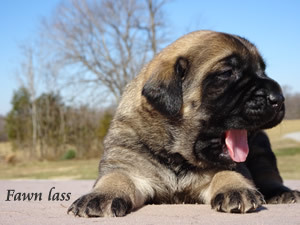 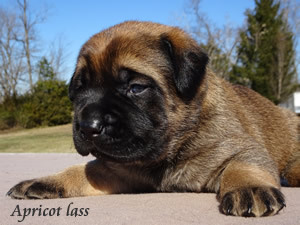 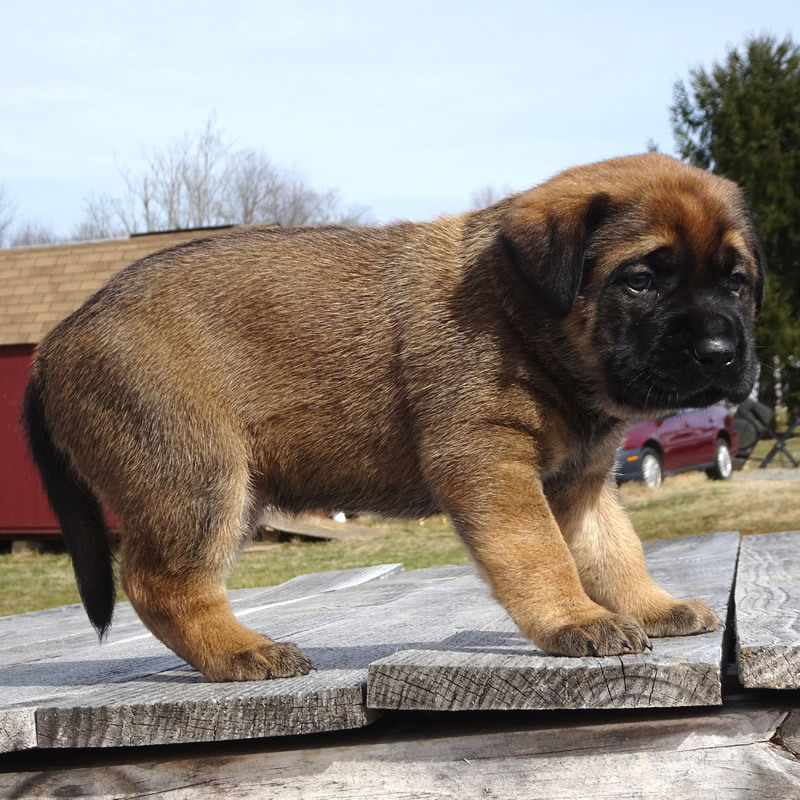 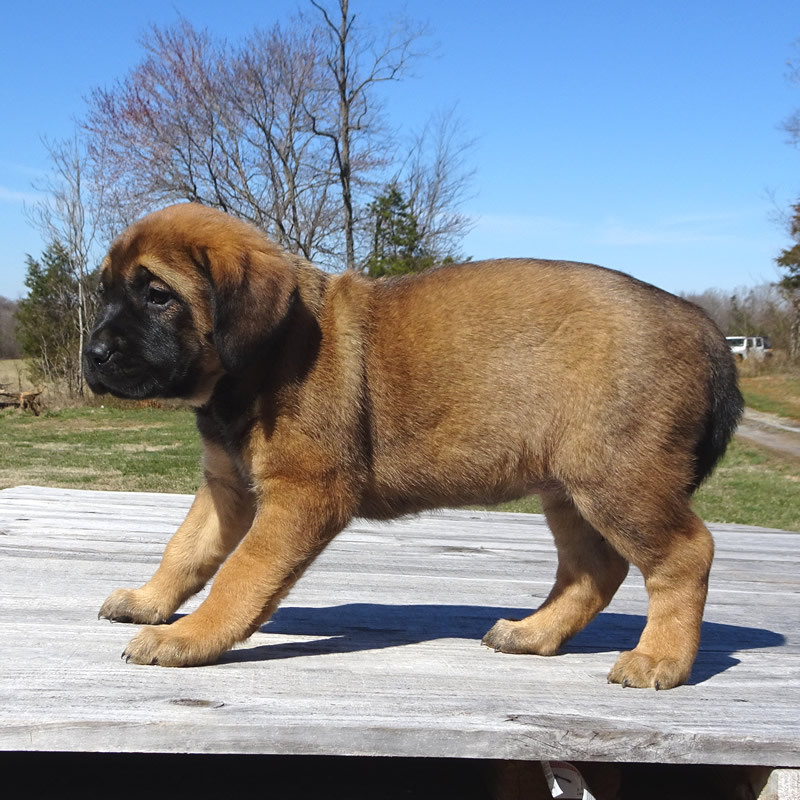 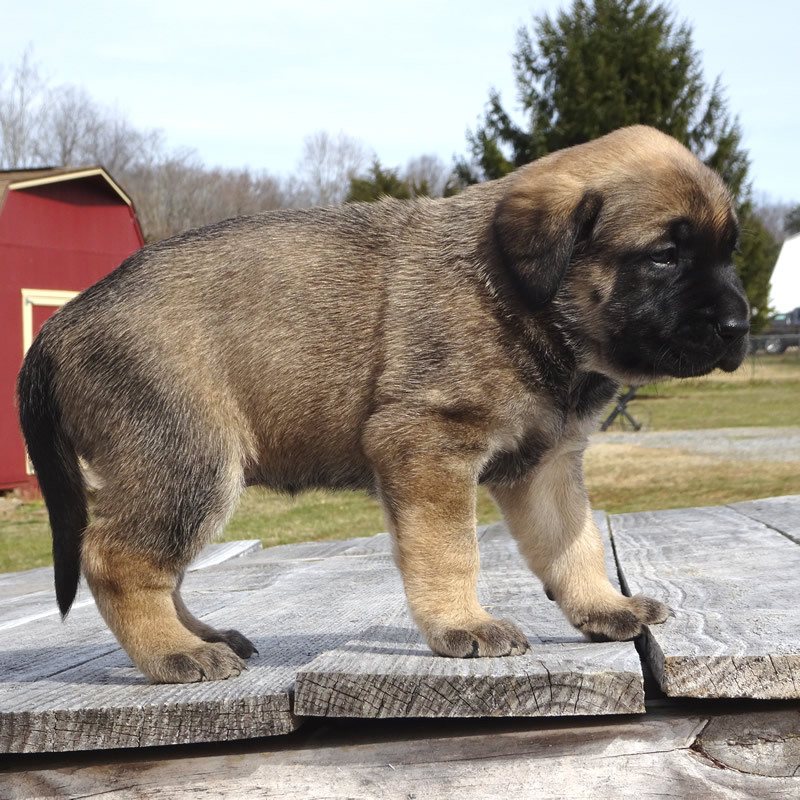 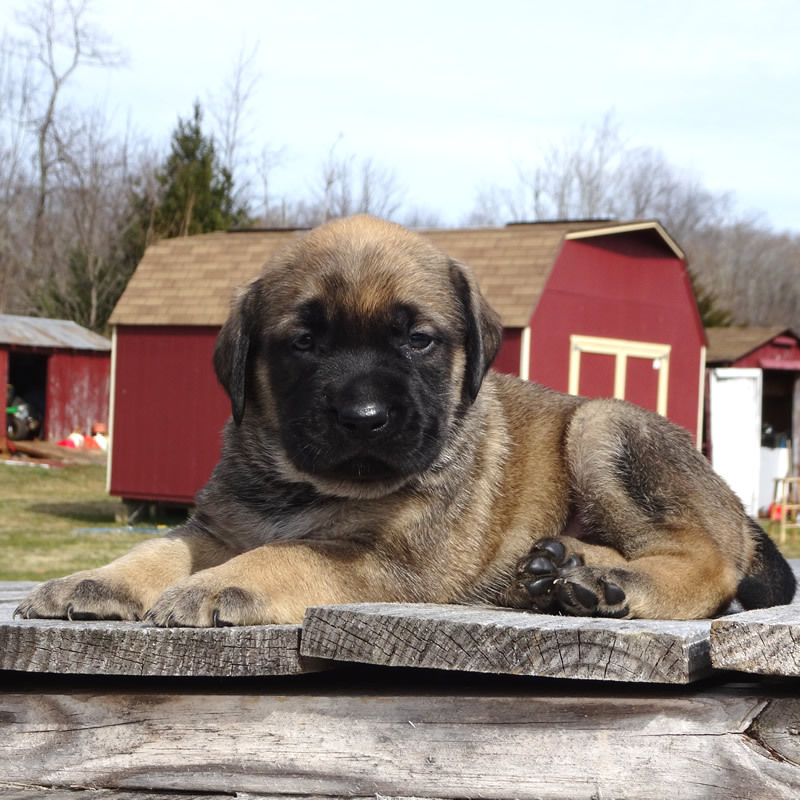 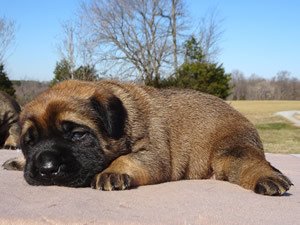 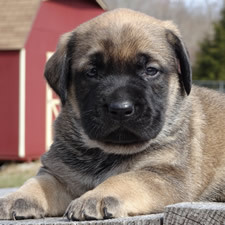 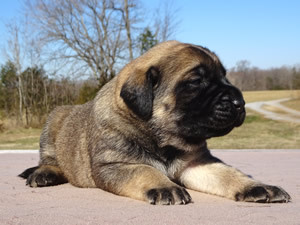 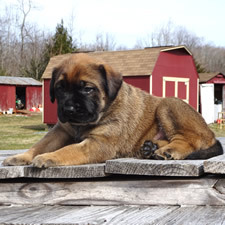 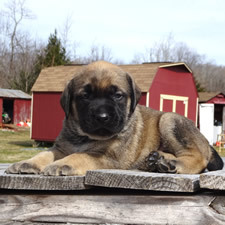 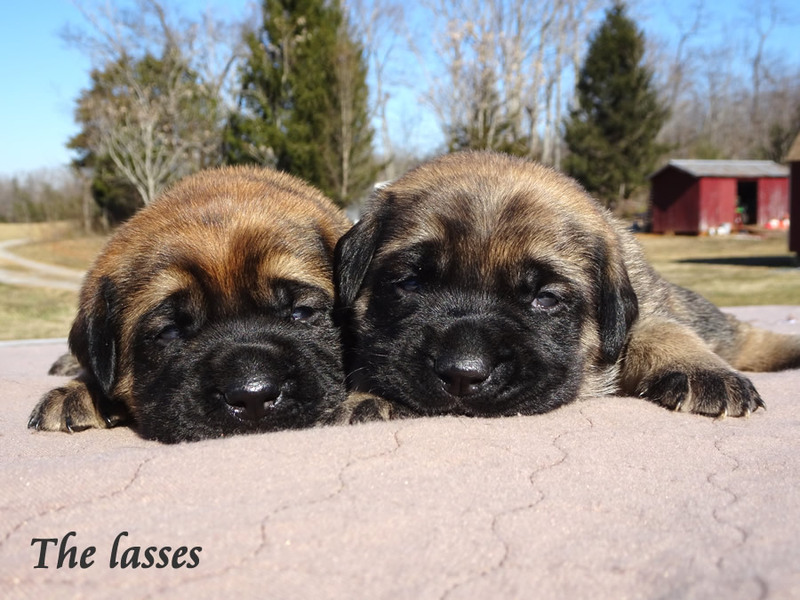 English Mastiff bred to Labrador Retriever. 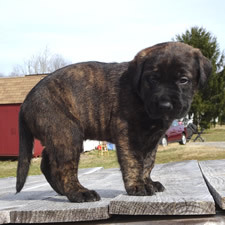 Mastador bred to Lab = 75% Lab, 25% Mastiff puppies. 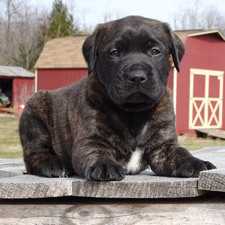 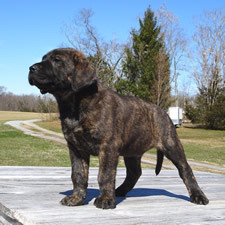 Mastador bred to Mastiff = 75% Mastiff, 25% Lab puppies. 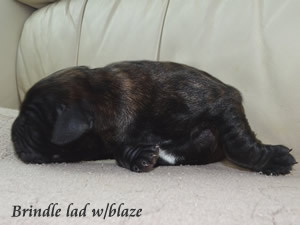 F2: Second Generation. 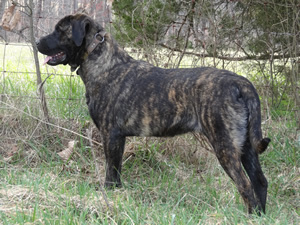 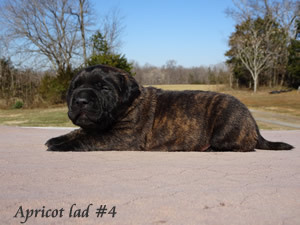 First Generation Mastador bred to First Generation Mastador. 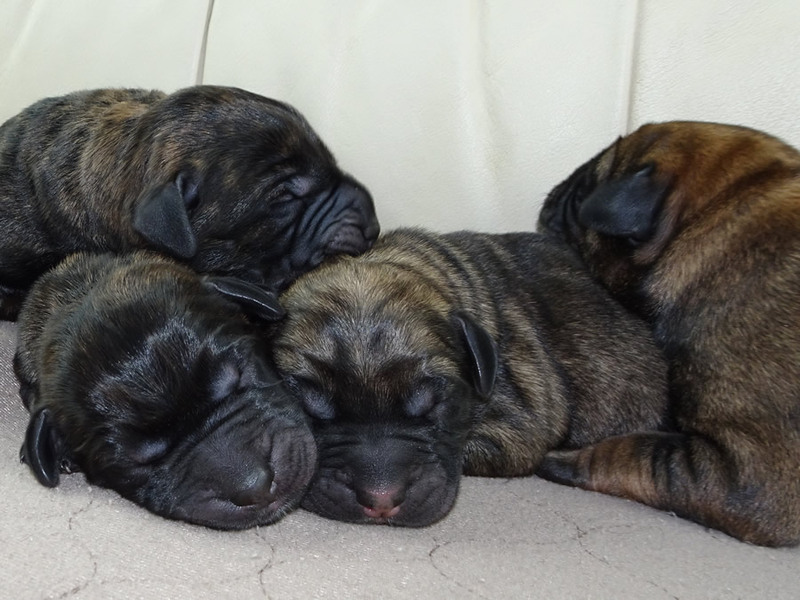 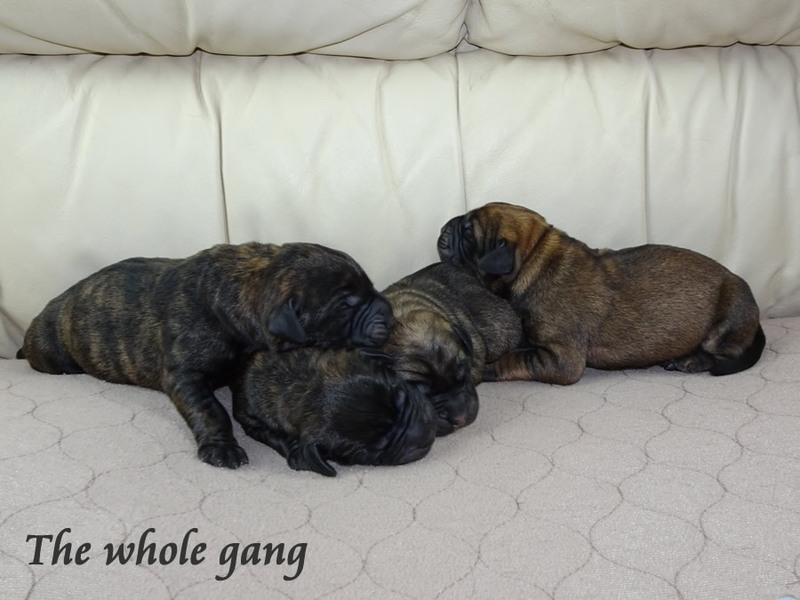 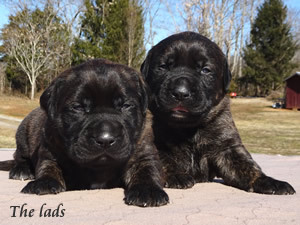 These puppies are F2B Mastadors (between 2nd and 3rd generation). 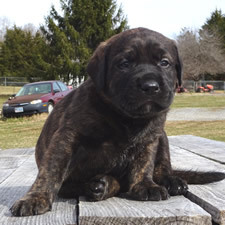 Maggie is actually 60% Mastiff, 40% Lab, her Mastador mom being an F1 (first generation) Mastador, and her dad being an F1B (75% Mastiff, 25% Lab) Mastador. 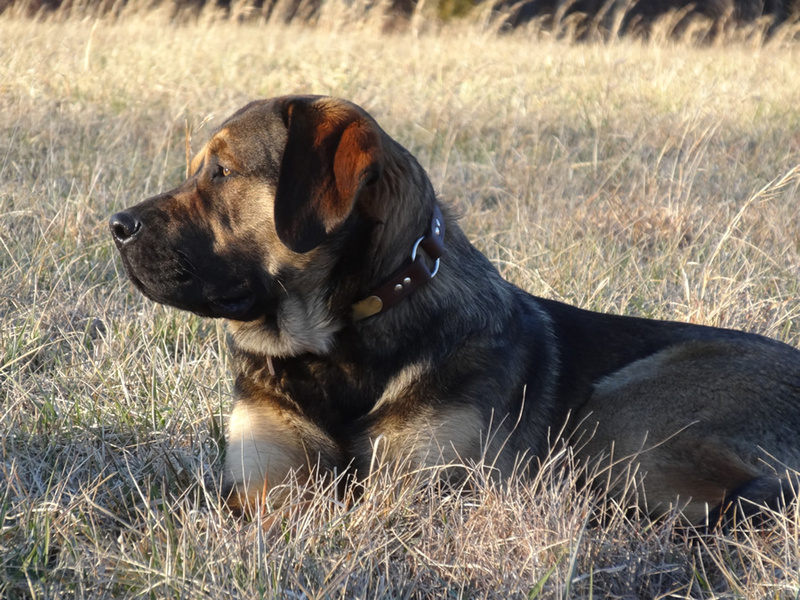 Maggie is a gentle soul. She loves close physical companionship. 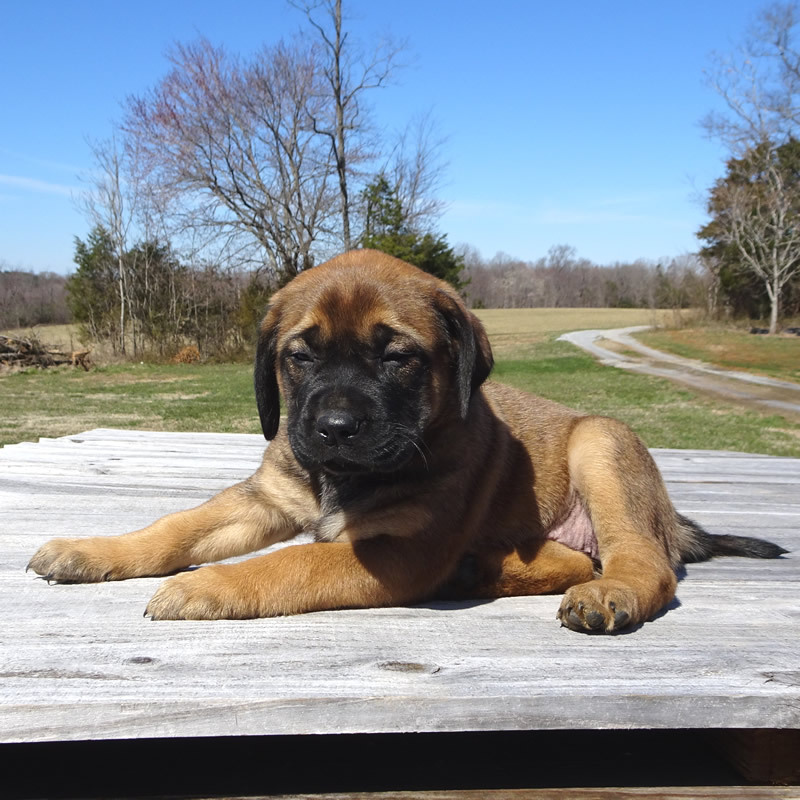 She loves the water, and enjoys most Lab activities. 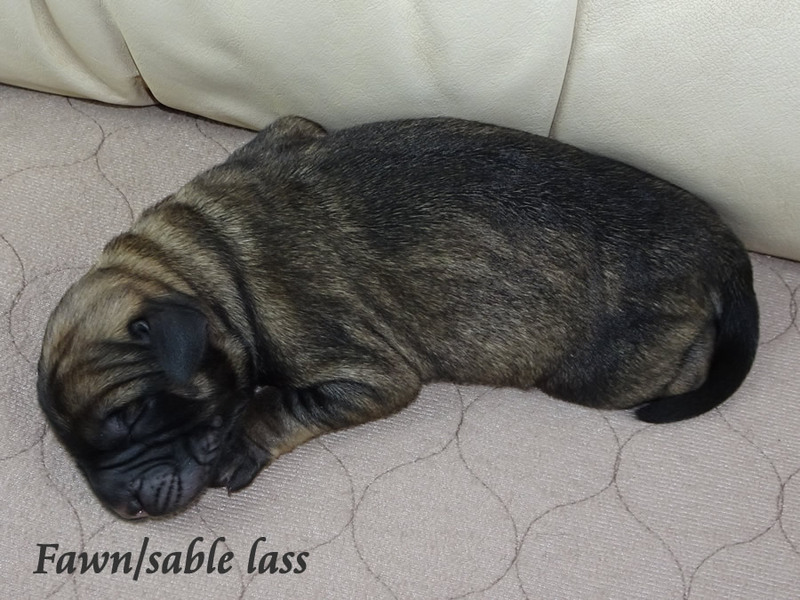 She's very laid-back and affectionate, without being pushy. 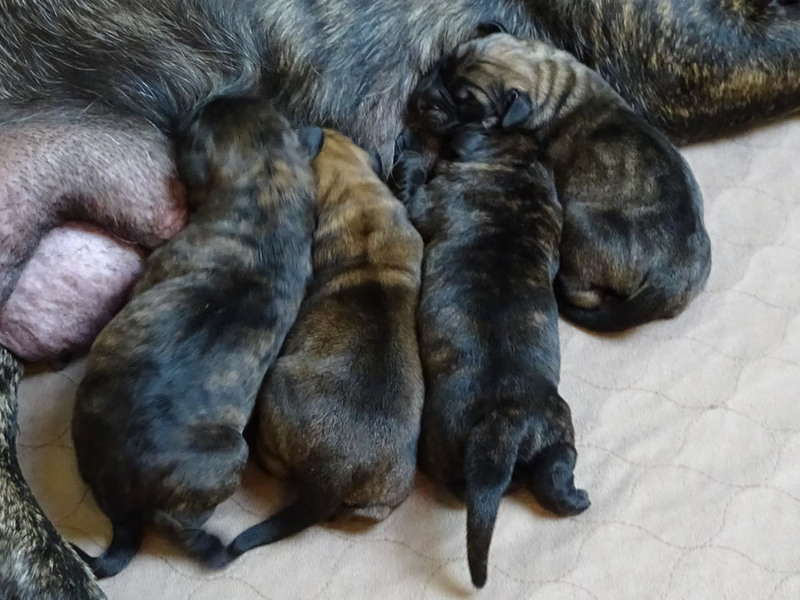 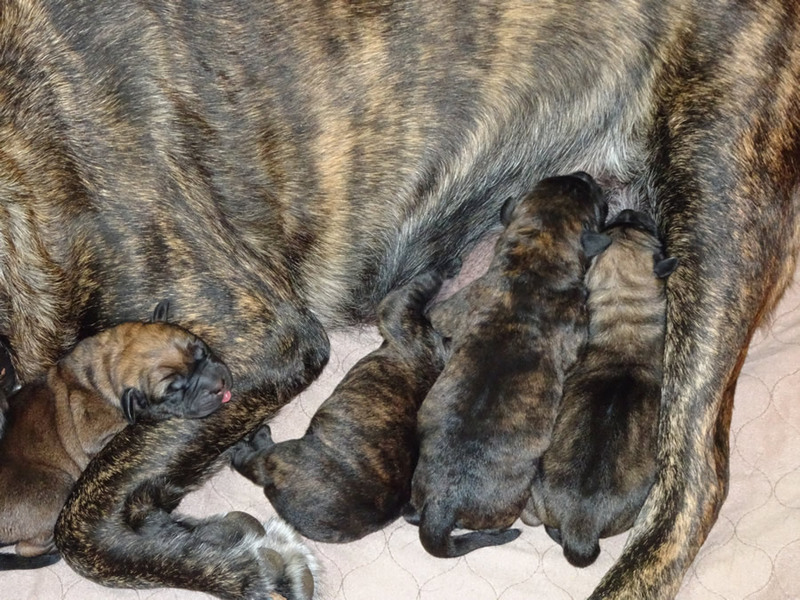 Her pups promise to mimick those traits, as they are also shared by Charlie. 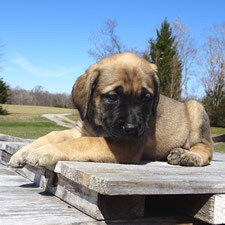 Maggie's name is that of an 11th Century Anglo-Saxon princess that escaped the invasion of William the Conqueror in 1066 and went to Scotland. 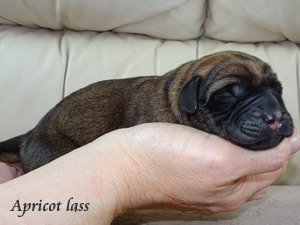 She married Malcolm III, King of Scotland. She was a devout Christian and is recognized as a saint by Roman Catholics and Anglicans. 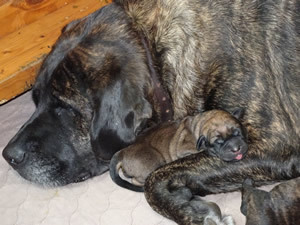 She brought reform to Scottish national life, through her influence on her husband, chiefly through the regular reading of the scriptures to him. Margaret produced amongst her eight children, three kings of Scotland, and a queen of England (married to Henry I). 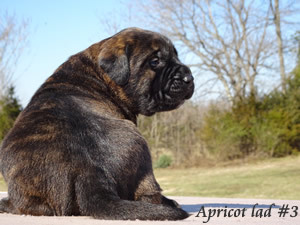 Maggie has produce many regal offspring as one of the mates of Charlemagne! 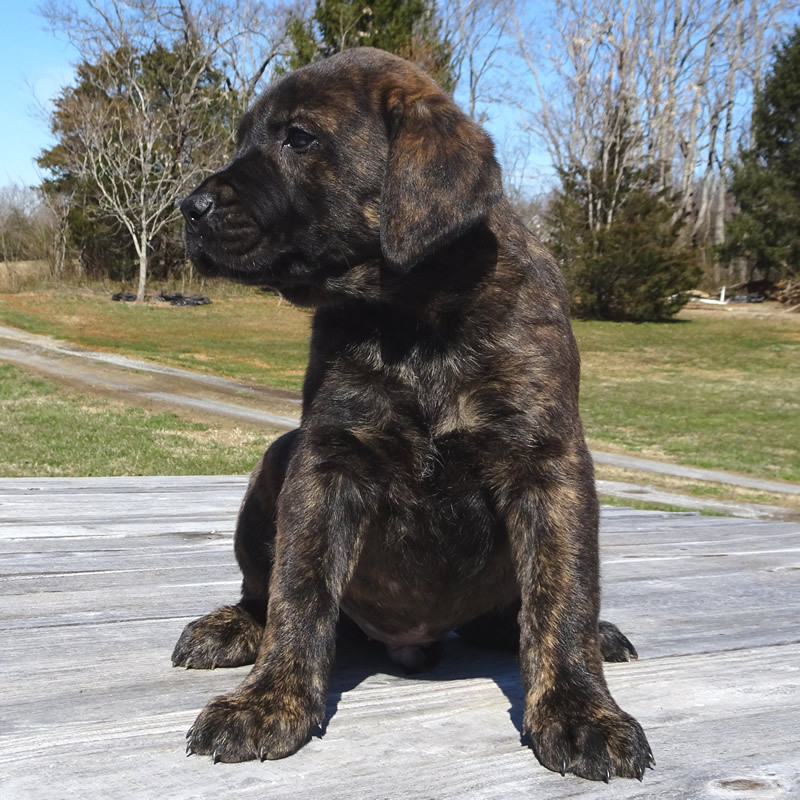 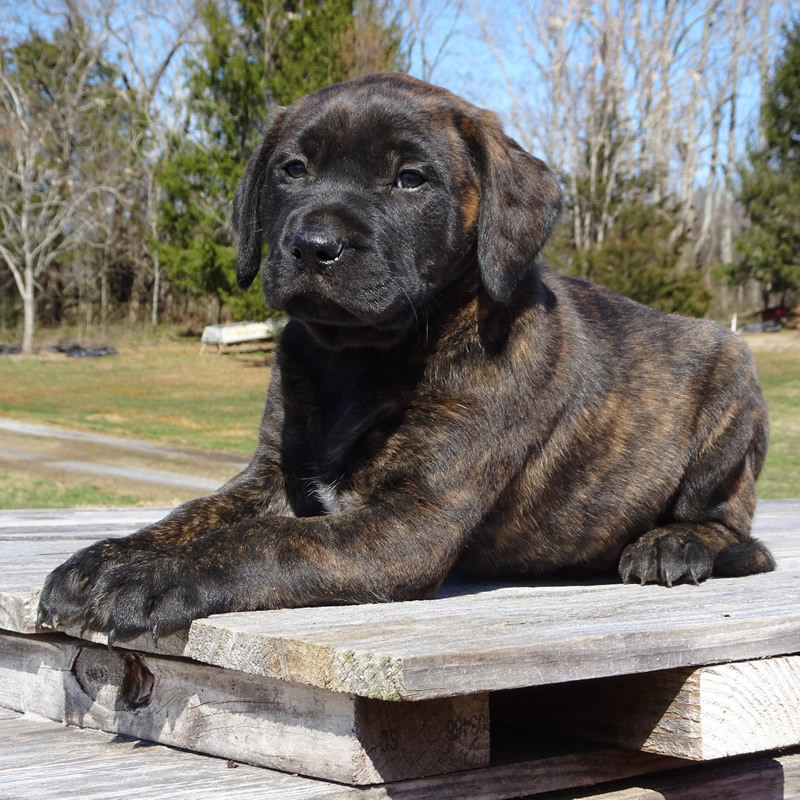 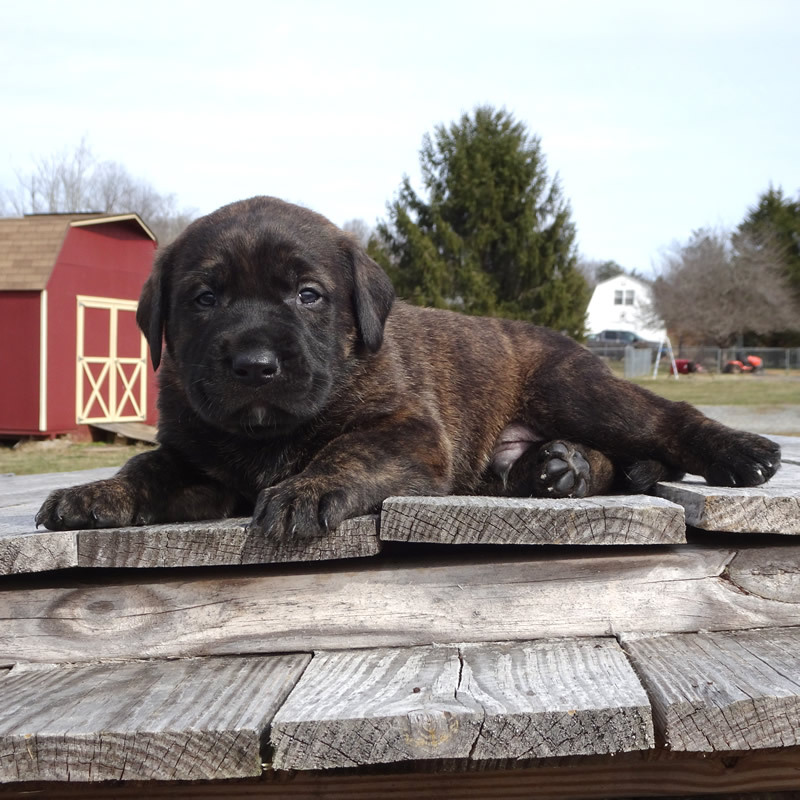 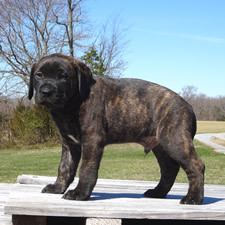 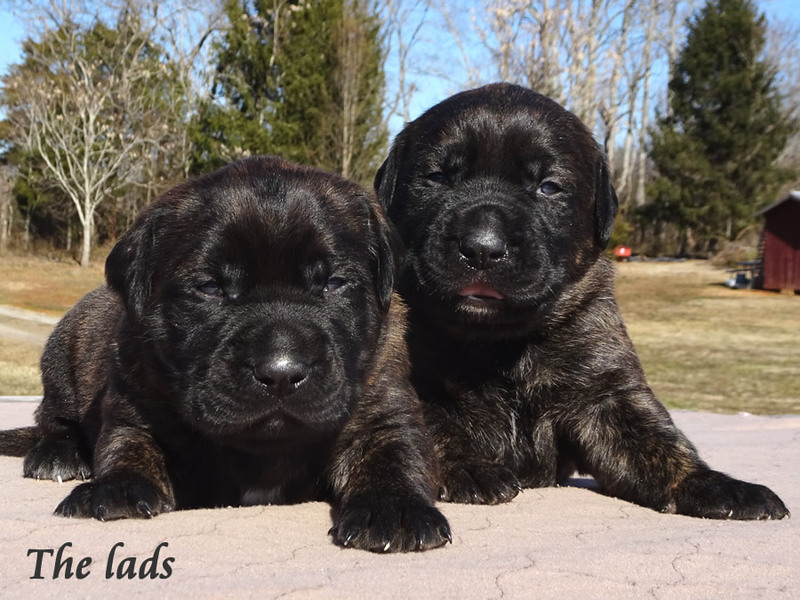 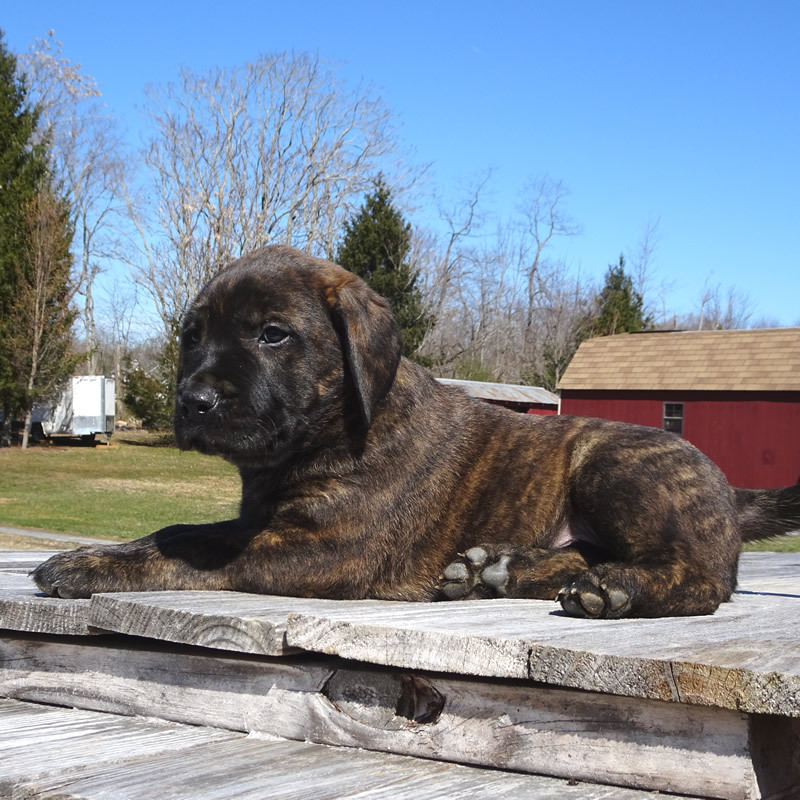 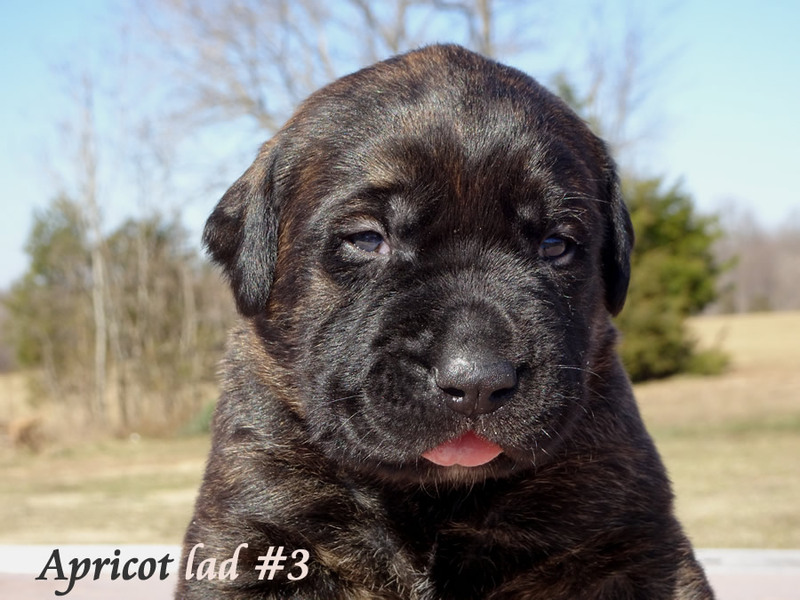 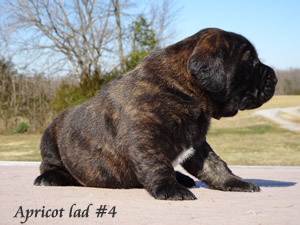 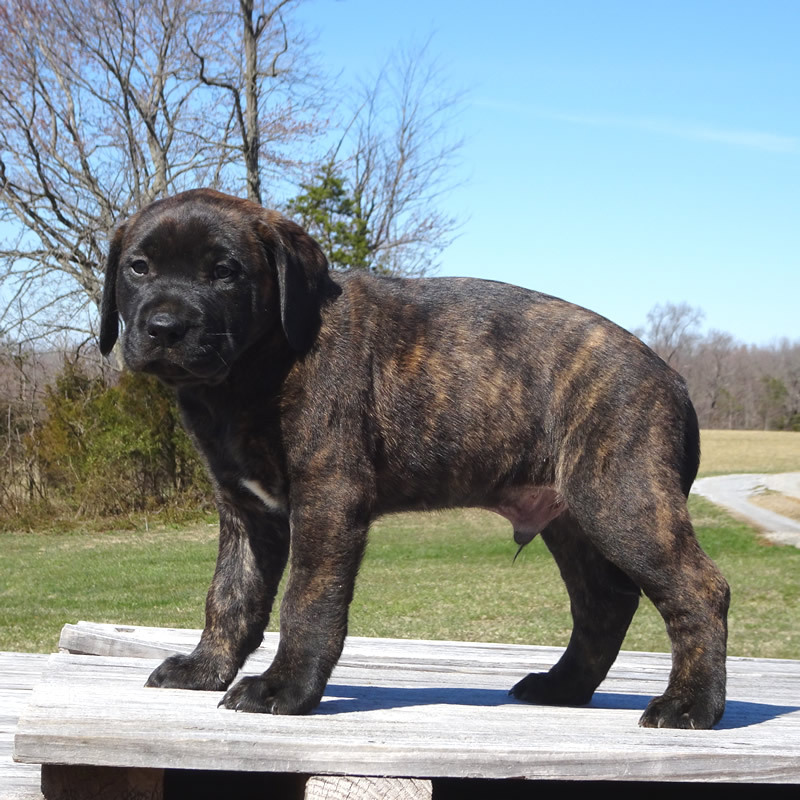 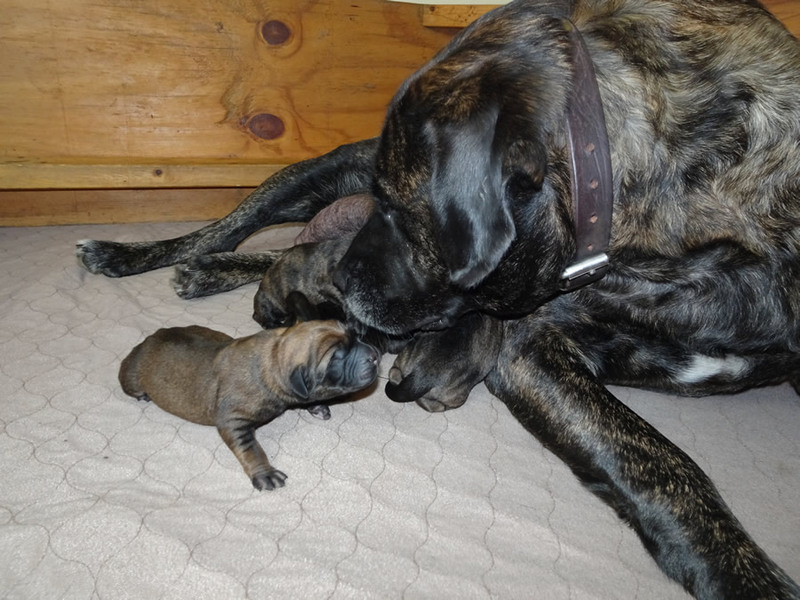 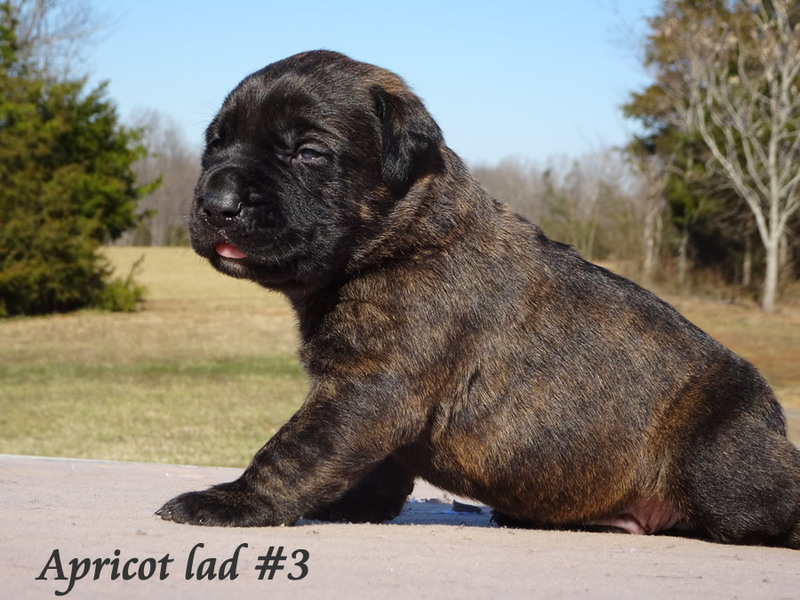 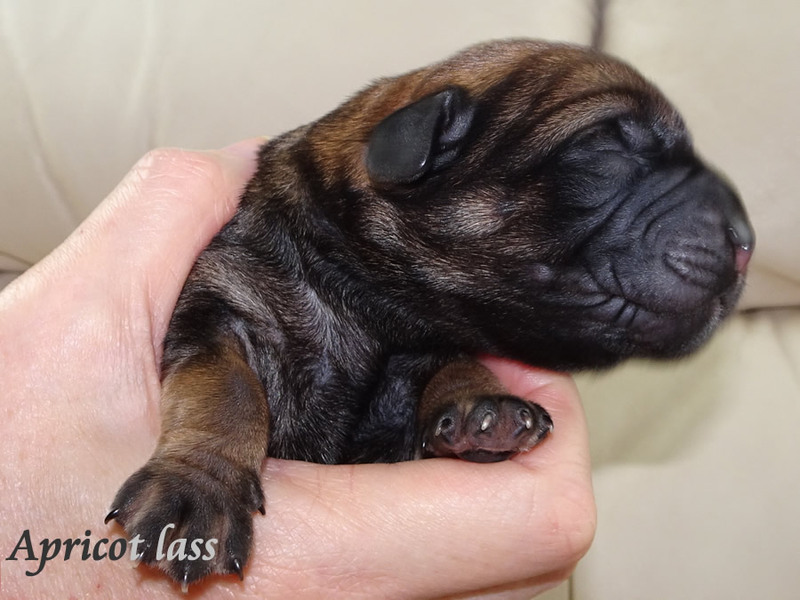 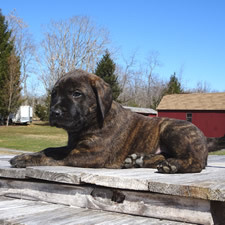 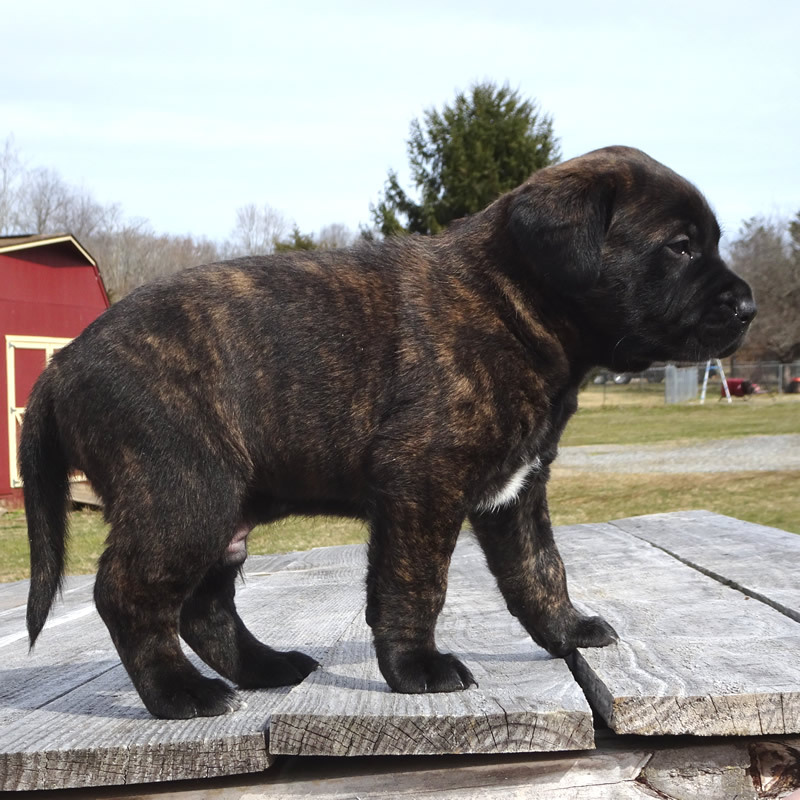 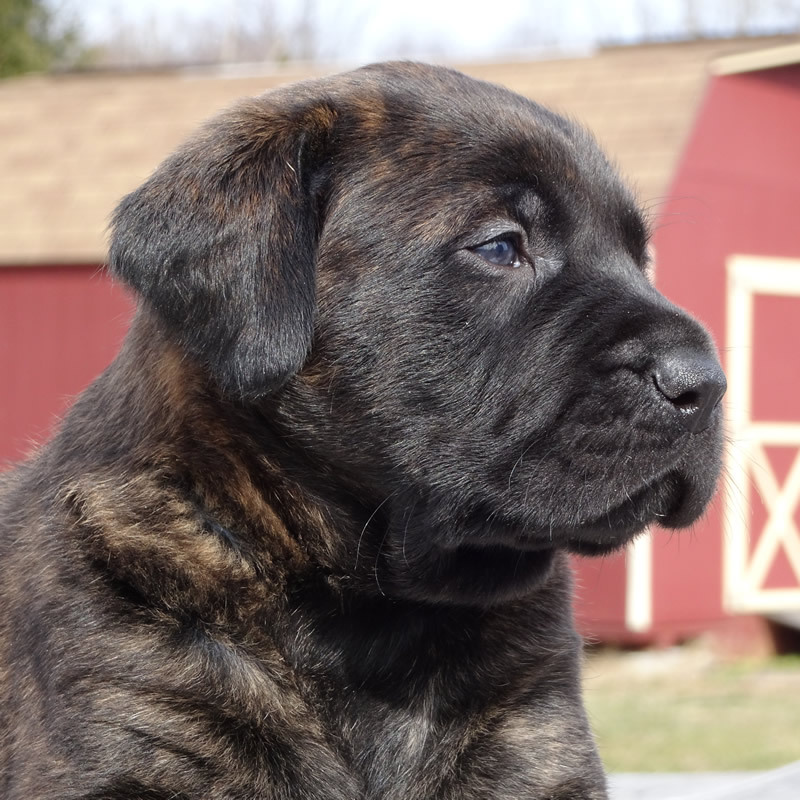 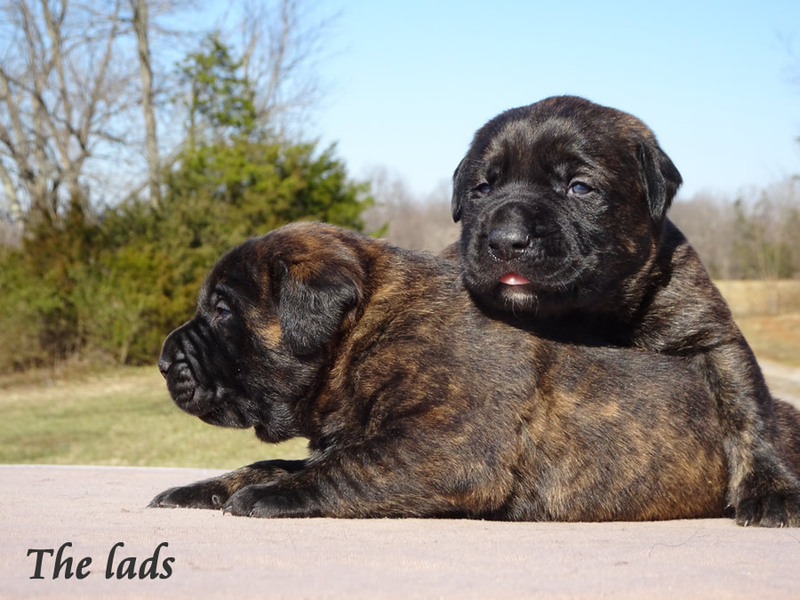 "Charlie" is the foundation of our Second Generation Mastador breeding program (Mastadors bred to Mastadors, rather than Labs bred to Mastiffs) His mother is an AKC registered black English Labrador Retriever and his dad is an AKC registered fawn English Mastiff. 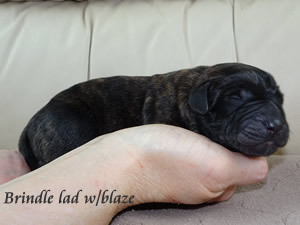 He was born in April 2015. Charlie to weighs about 130 lbs. 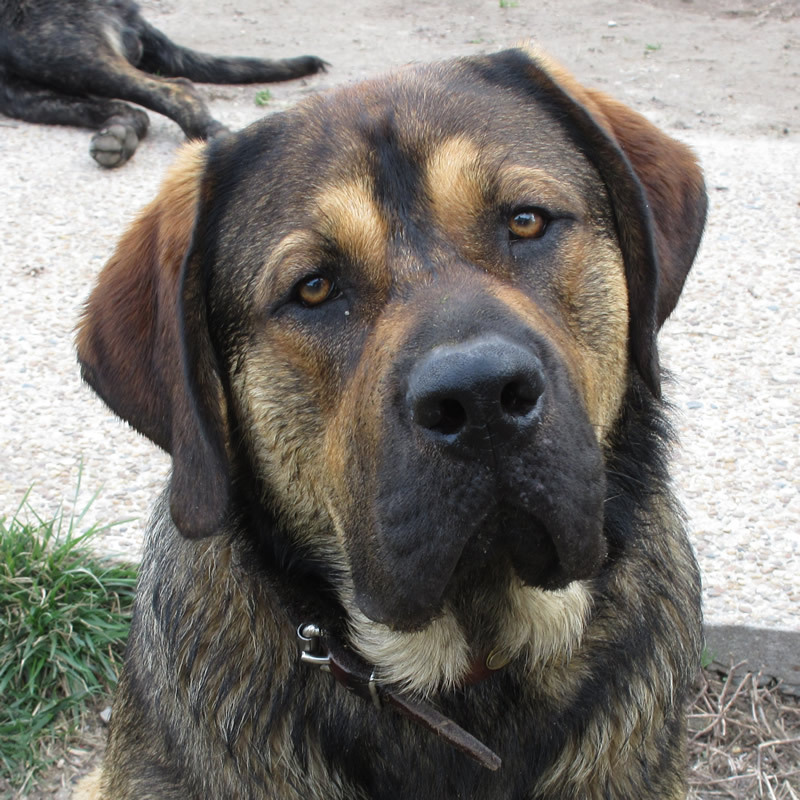 Charlie is a calm, friendly, laid-back lad. He loves to lay about most of the day, but when it's playtime, he's all over it! He loves to swim as much as any of our Labs, and he loves to fetch. He's fairly low-drive lad. 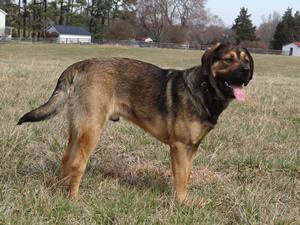 Charlie is named for the Christian emperor, Charlemagne, of the Holy Roman Empire (724 AD to 814 AD). 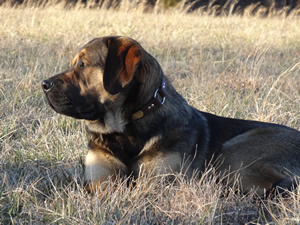 He brought together the fragmented European nations and tribes under a Christian banner, after the Roman Empire had been destroyed by pagan, barbarian Germanic and Scandinavian tribes. 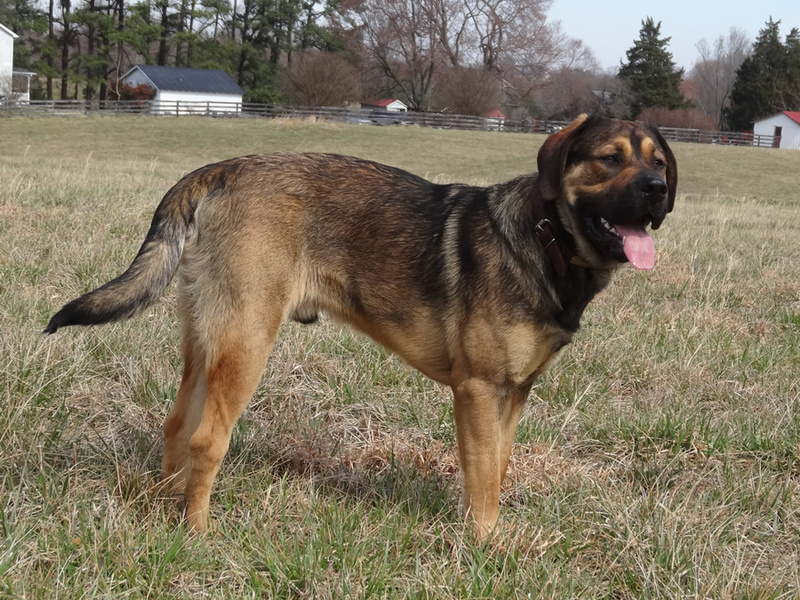 While perhaps a *little* ostentatious, we love to name our studs after heroic and valiant men (like our Jeb Stuart and Rob Roy). even if you don't have a PayPal account. 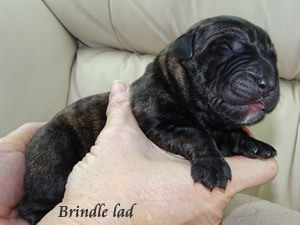 Just click on the button below (after approval). Deposits are non-refundable unless for any reason we are unable to deliver the puppy that you reserved. In that event, you will be offered the choice of a full refund or a replacement puppy, if one is available. Puppies are available no sooner than eight weeks old. Balance must be paid in cash or postal money order at the time of puppy pick-up unless prior arrangements have been made. By clicking the link and making your deposit through PayPal, you agree to these terms.